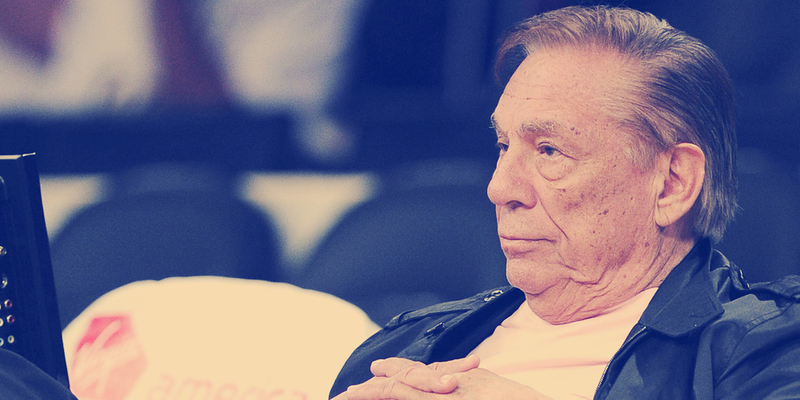 Sitting at Donald Sterling’s public ostracism a few weeks back, we couldn’t help but feel it was the first of a 400-act play. Since we’ve long maintained that “NBA” stands for Nothing But Attorneys, we’ll leave it to the best minds at the league and their counsel at Proskauer and Wachtell, Lipton to sort out the legalities. Still, there are a few things within our purview we feel comfortable opining upon. The stampede of sponsors seeking to disassociate themselves from the Clippers in the wake of Sterling’s ugliness was predictable. Marketers are generally timid; they duplicate more than they originate. Still, those team sponsors ducking for cover should have rung hollow to anyone in this business. Is no one willing to call B.S.? OK, we are. When a team is in the playoffs, we feel it’s safe to assume that the preponderance, if not all of the sponsorship monies, have been paid. All those sponsors running from the Clippers were doing it for PR value alone. For the purpose of debate, let’s assume any remaining sponsorship or media fees haven’t been or won’t be paid to the Clippers. The NBA splits basketball-related income with its players down the middle, so can’t we safely assume that the players and the Sterlings would be hurt equally in that case? However, what we really wanted to broach are the marketing issues inherent in the Clippers debacle. Whenever the team is through parading through the non-hardwood courts, there will be a relaunch and repositioning of sorts. So we asked smart marketers with relevant experience what their strategy would be. One thing’s definite: Clippers Nation has never been larger and there’s an unprecedented opportunity here for it to achieve national reach. From a brand with almost no discernible equities and a team that played red-headed stepchild to the Lakers, the Clippers have become a symbol for all that is right. The marketers relaunching Tylenol never had that advantage. Maria Woike worked on the Clippers account over the past few years for Irvine, Calif.-based HEILBrice, the team’s longtime ad agency. “This has been heartbreaking, but at the same time exciting, because the Clippers now have an opportunity to represent something much bigger than basketball,’’ said Woike, now creative director at New York branding firm SME. “They’ve always been a little brother at best. Now they need to come out with a bold, confident voice to show they showed grace in the face of disgrace and built triumph from tragedy. Adam Silver’s NBA already seems more transparent. Our kitchen cabinet advised that the Clippers need to be held to an even higher standard. Changing the name and logo is usually near the top of the to-do list for any neophyte team owner. However, with the Clippers becoming a lightning rod, we found little support for a name change. Tom O’Grady, former NBA senior vice president/creative director, recalled working on a Clippers logo change around a decade ago that involved waves and the beach. It was nixed by ownership.